I began my career as an actor. 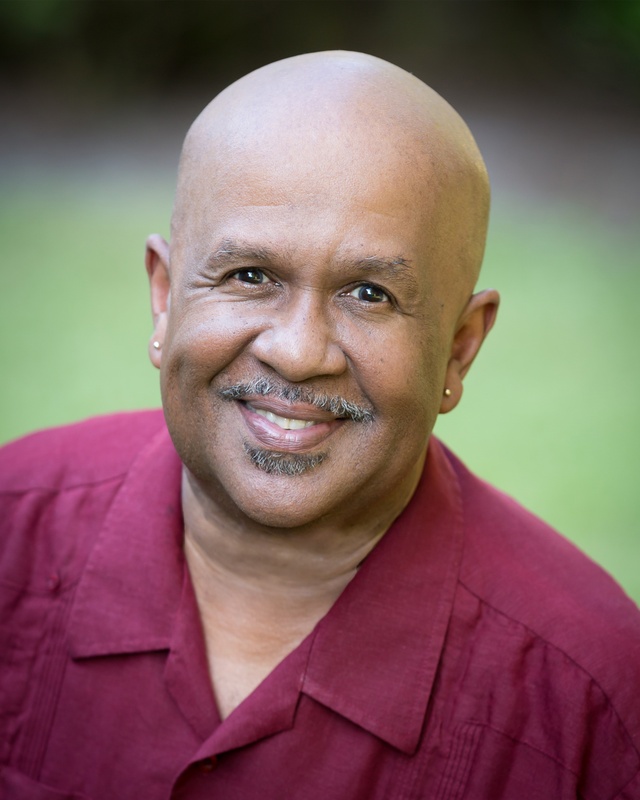 Having spent many years touring the country in regional theater productions, I was happy to get a steady job working with the Living Stage Theater Company, the community outreach arm of the Arena Stage of Washington, D.C. Living Stage was mainly an improvisational company that did performances and theater workshops for diverse groups. We performed for kids from preschool to high school, PINS (Persons In Need of Supervision), children with disabilities, and incarcerated men and women, senior citizens and others. I was with the company for five years, and I believe getting up close and personal with such diverse audiences opened my eyes, ears and heart to people from all walks of life. Returning to New York, I volunteered to work with The 52nd Street Project, where we wrote plays starring the children of the Hell’s Kitchen section of Manhattan. A producer from PBS saw my work and thought I had an ear for the way kids speak and think. This lead to my first job writing for television on the literary series, Ghostwriter. From there I went on to create, produce, write and direct television shows for Disney Channel, Nickelodeon and Sesame Workshop. Finding a child’s voice and seeing their point of view has always come naturally to me. I don’t actually look at it as though I have to write down to this audience. I write to them as I would an adult or senior citizen. For me, it’s all about allowing myself to take on the skin of whatever character is before me and striving to understand the world through their experience, emotions and actions. I guess its kind of like being an actor, except this way, I use a keyboard to perform. When my daughter was in elementary school, I volunteered to work in the school library/media center. It was a good way to see what kids were reading and get to know some of her schoolmates. Each year when the book fair would come around, I’d notice how few books there were with characters that looked like my daughter on the covers. Now, my daughter loved Junie B. Jones and the Babysitters Club and other books about girls her age, but it disturbed me that the books with girls that looked like her on the covers were always connected to slavery, the Underground Railroad, civil rights, etc. Believe me, there is nothing wrong with these books, they are important, but the fact that books about contemporary Black girls like my daughter were few to none disturbed me. So, I set out to write one. I opened myself up to the possibility of creating a character that looked like my daughter, had a diverse group of friends and dealt with the issues, problems and challenges faced by contemporary girls regardless of race. As often happens, one morning, between being asleep and coming awake, a name appeared before me, “Mango Delight.” I was immediately intrigued. Having to contend with an “odd” name my entire life, I felt an quick connection with this girl. As I lie there yawning and stretching, I began to see her, her friends and her family and what kind of dilemmas she might face. It’s not magic, it takes a lot of work to bring it all together, but when a character presents herself to you the best thing you can do is welcome her and be grateful that she’s giving you the opportunity to bring her to the world. 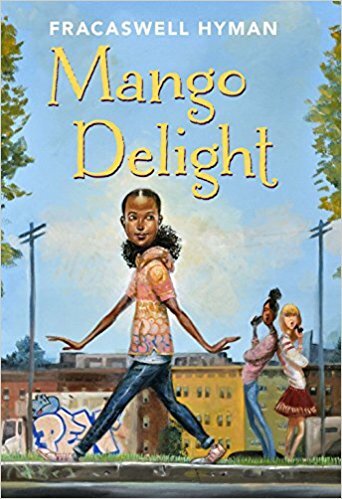 Full circle moment: Mango Delight, has been picked up by Scholastic and will be featured in their Book Clubs and Book Fairs across the country and various territories. Yes! Although there are no absolutes for me when it comes to process, most of the time I start with the character. Who is s/he? What does s/he want? What is s/he willing to do to get it? What would make him/her go too far…and how do I chart a course for him/her to get to the place where they “cross the line”? I attempt to put my characters in situations that would cause them to make uncomfortable or maybe even unjustifiable choices that they have to find a way to justify to themselves and others. I don’t concern myself with how likable a character is in the moment, because I’m not looking to create a role model. First and foremost, I’m looking to create and explore characters that are human, not perfect. Characters that make mistakes that the reader can identify with, understand, and hopefully forgive. I trust that these characters will help us all learn to forgive ourselves and others when needed. I “try” to put myself on a schedule. (I don’t always succeed, but I set out with the best intentions and it works most of the time.) Fifteen hundred to two thousand words a day, six days a week, whether I feel inspired or not. Normally, I begin by going over what I wrote the day before and then continuing on from there. By the time I finish editing work from the day before I’m all warmed up, back in character and ready to move forward. I have a nice, private office in my home. Sometimes I work there or sometimes I’ll go to a library or coffee shop to get away from distractions. Right now, I’m seated at the kitchen table, which I’ve taken over for months. Why? I don’t know…I just go with the flow and see where I land. My process is born from trial and error. What works for me may not work for you at all. Trust yourself, you will find your own way. At some point, my process may shift, evolve and morph into something else. That’s fine. I relish the freedom of the journey and the mystery along the way. First and foremost, I am grateful that my novel, Mango Delight, was picked up by Sterling Publishing. I’m very happy that they chose an illustrator of color, Frank Morrison, to create a cover that is authentic and attractive. With my editor and his team, I have been extremely lucky. Of course, I believe “luck” is at the intersection where opportunity and preparation meet, so I’m proud that I was ready for the opportunity. That said, I’ve come across some disturbing statistics of late. – White authors and illustrators create 88% of all children’s literature. – Last year, only 2% of the 3,400 children’s books that were published featured Black characters written by Black authors. – In 2013, before the #weneeddiversebooks movement started, 75% of books featuring Black characters were written by Black authors. Now, only 30% of books featuring Black characters are written by Black authors. I’ve seen this phenomenon time and time again while working in television. A white writer will create a character/show about a child very much like their own. A network will offer to pick up the show if they make the main character a Latina. They do. The show goes on to huge popularity, makes millions of dollars and has absolutely no connection to the culture they have appropriated whatsoever. There is no compunction to bring in producers, writers or consultants with any real power or influence. And ninety-nine percent of the millions of dollars generated never reach the communities of the children they’ve exploited to make their show relevant. Illustrators/writers will draw a character, give him a little Afro and an ethnic name with a vowel on the end, and suddenly he’s the darling of the industry. The fact that this character or his experiences have absolutely nothing to do with his culture is irrelevant to those who are making money by diving into the #weneeddiversebooks pool. Then we have to “tastemakers.” Bloggers, critics, teachers and librarians who’ve spent years getting advance copies of books so that they can gush over stories that warm their hearts. Stories where characters who look like them come to some great understanding about “the other,” or visa versa. These “tastemakers” may only come in contact with children of color in their classrooms, libraries or what they see on TV and the movies, but they have the gall to insist on whether characters sound “authentic” to them or not. Trust and believe, the image your students represent to you in the classroom can be very different from the image they find comfort in at home on in the streets. Solutions? Let’s begin with; #weneeddiverseeditors #weneeddiverseceos #weneeddiversetastemakers! We need diversity in the offices where decisions are made. We need to open our minds and question our own tastes when it comes to what is a valid character or credible way to tell a story. I believe some of the best intentioned people are blind to their own notions of what is authentic as opposed to what they are used to or find culturally palatable. Sometimes it is not advisable to speak out, or speak truth to power. Throughout my career, I’ve been warned by well-meaning friends not to let myself get painted by the “angry black man” brush. But I’ve come to believe that there is nothing wrong with anger, as long as it is channeled to bring about positive results–not to hurt. The overwhelming majority of people I’ve worked with throughout my long career have had the best of intentions. Now, it’s time for those intentions to be infused with purpose. We’ve got to be able to step out of our own comfort zones and broaden our own ways of looking at the world as we seek to not only make more room at the table, but build better, larger, sturdier, and more effective tables for the future. I love how someone who hadn’t intended to be writing children’s TV scripts nevertheless did… and then saw another need and filled it. Looking forward to this book!